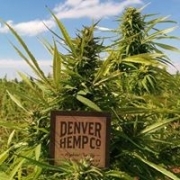 Denver Hemp Company encourages sustainability through clothing. We manufacture and sell high quality, fashionable clothing that lessen the environmental impact of the clothing industry. DHC was conceived in 2010 on the slopes of Breckenridge, CO. I was riding with a group of friends and and we were discussing our desire to wear more Hemp. Most of what was available was either poor quality or very expensive or sometimes both. I decided that day to personally better the state of Hemp clothing. I began by screen printing Hemp and organic cotton t-shirts. I made a conscious decision to not use petroleum based inks or toxic cleaning agents. I wanted to make my shop as environmentally friendly as possible. Today I am fortunate to be able to manufacture and sell the very best Hemp, Bamboo, and Organic Cotton clothing.